It’s the last week already! Time has flown and our first exhibition is nearly finished – we’re open until this Saturday although we’ll probably open a few days the following week because both Paul and I have been developing studio work that we want to complete before Christmas. We went to Cornwall again shortly before we opened the studio/gallery and that revived my ideas about Cornwall. I’ve revisited some of my earlier work, in particular several prints and paintings that I made of the Merry Maidens stone circle near to Lamorna. 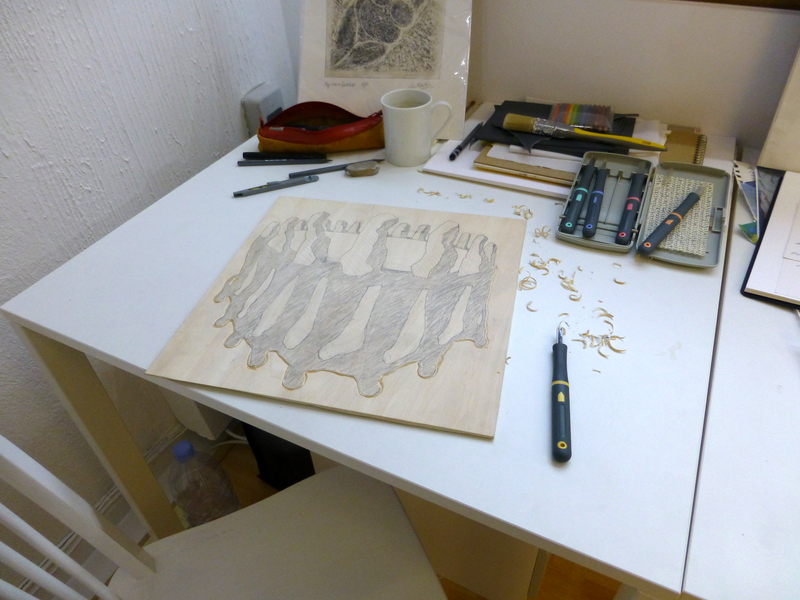 At the moment I’m working on a woodcut that I’m hoping will form the main structure for a new print. 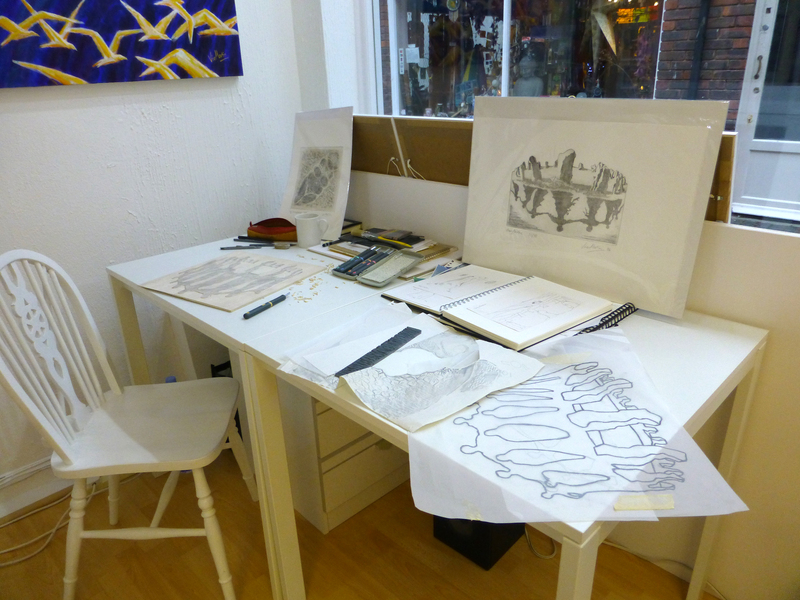 Here you can see the ‘studio’ space we’ve been working in and a closer view of the woodcut before it is printed. I’m hoping to be able to make the first proof on Friday and maybe also proof a smaller vinyl piece that I cut last week of the Men an Tol, another very special set of stones near to Zennor. Early in 2015 we will be showing a much wider range of our work from prehistoric subjects – watch this space!